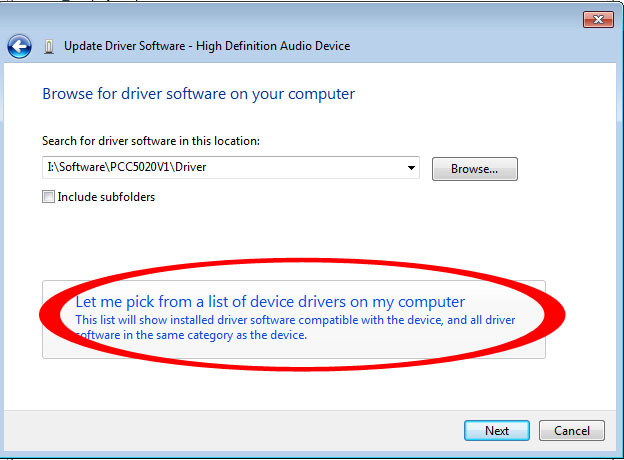 I found this drives not listed in intel download center site, and i not test it yet. 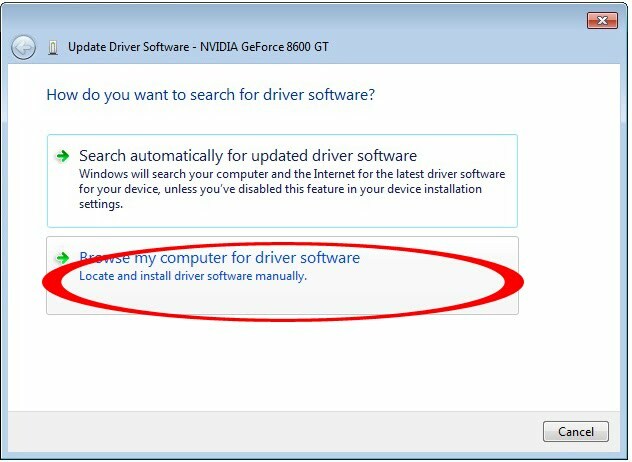 So if you download and istall this drivers, report back the results, make sure you use windows 7. The download link for now only from ziddu. other miror download will be added later. 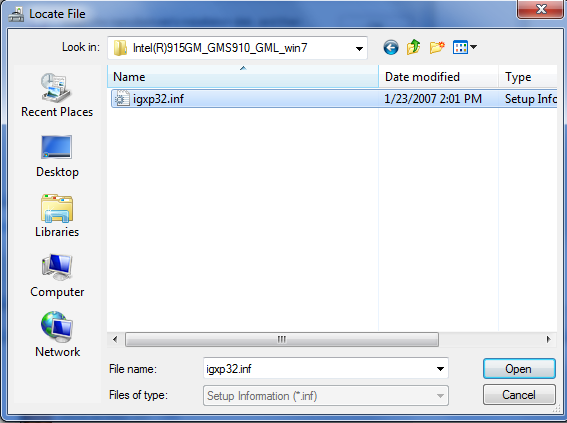 First install directly by just extracting the driver, and run the igxpun.exe, even it will prompt some component are corrupted but you will get the maximum resolution after the installation. 1. 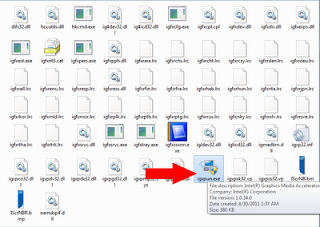 Extract the driver and we we get the extracted folder. 3. 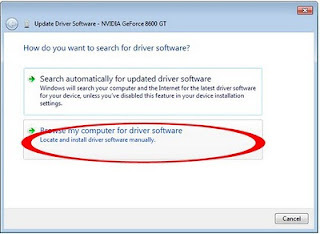 A device manager will open, right click on standard VGA and select update driver. 4. Select Browse my computer for driver Software. 5. 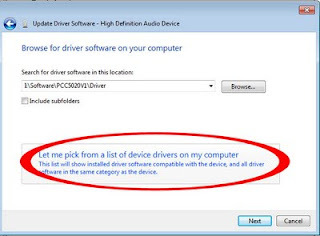 Select Let me pick from a list of device driver from my computer. 6. 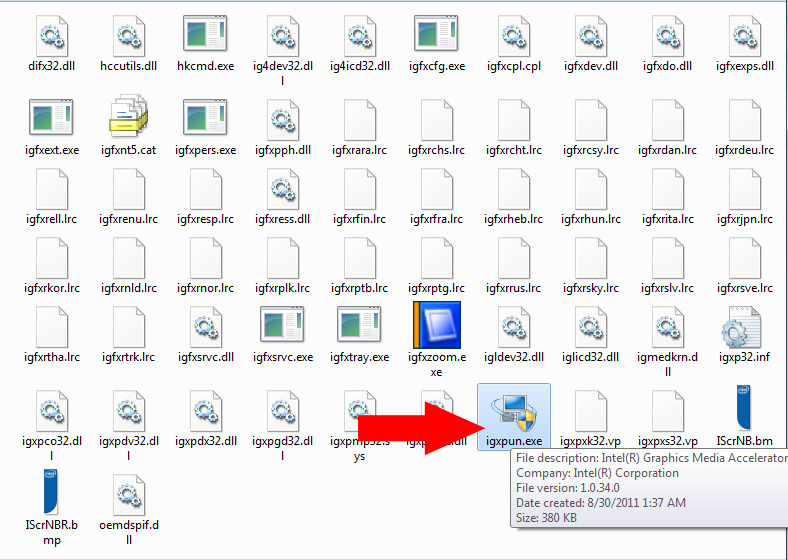 Select Have disk and point to the driver we extracted earlier and select the igxp32.inf file. 7. Continue with on screen instruction and ignore if it prompt. 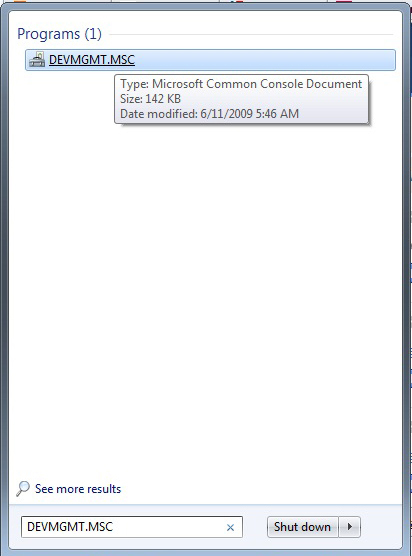 But, there was a user manage to install the driver and said that she used a third party software to enable aero. I forgot the name of the software but you can use UNCLE GOOGLE to search it. So after the installation she reported that the aero work great. 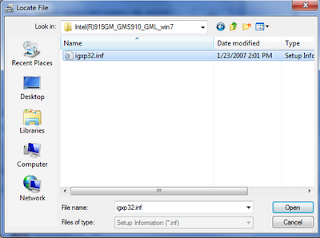 Thanks for reading Mobile Intel(R) 915GM/GMS,910GML Driver For Windows 7. Please share...!